An Ancient Hellenic tombstone that was illegally smuggled out of Greece and ended up on sale at the famous Sotheby’s in London has been returned to Athens after it was handed over to police moments before being sold off. "...undoubtedly originates from an ancient cemetery in the greater region of Attica, the product of a particular school of sculptors at the time. It surely comes from an ancient cemetery in Attica, as this type is exclusive to Attica sculpture workshops." In cooperation with the prosecution and British authorities, the Ministry of Culture took all necessary actions to claim the sculpture back. 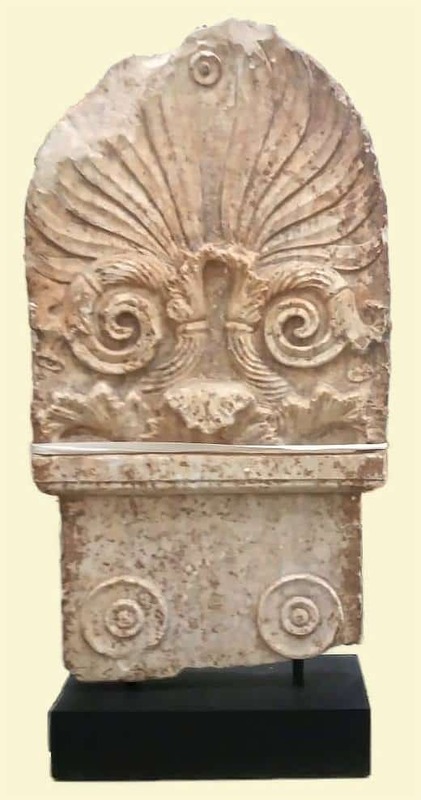 The tombstone was eventually handed over by the auction house to London Police and from there to Greek authorities.